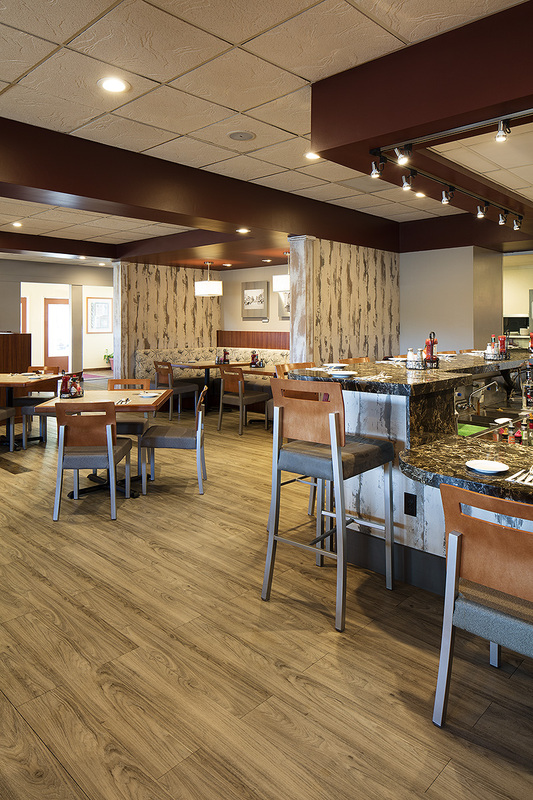 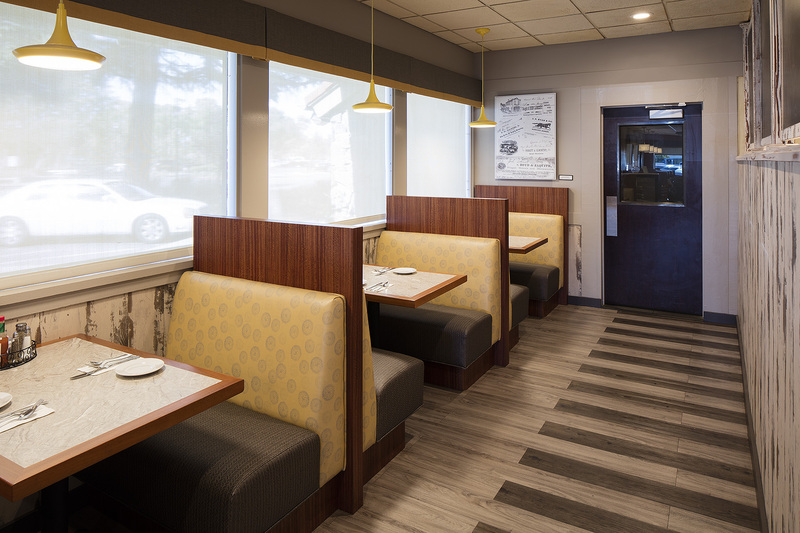 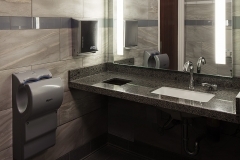 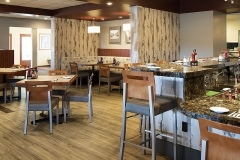 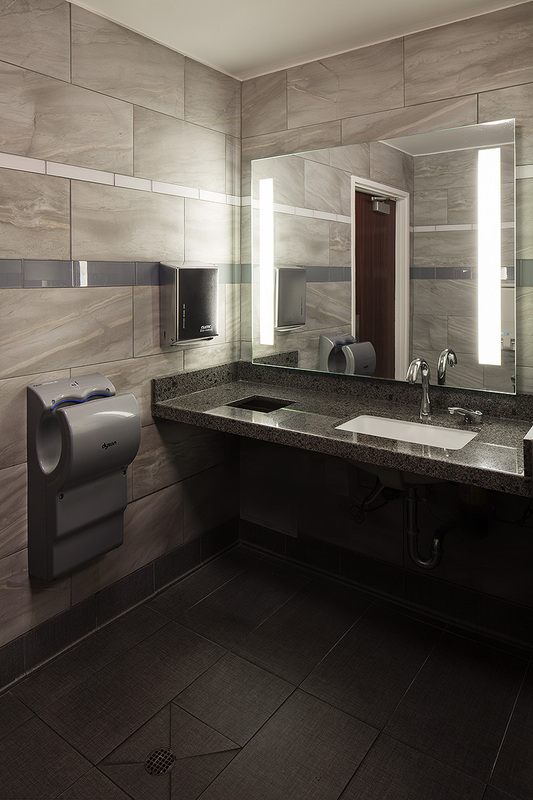 This restaurant remodel represented the 10th project Kathy designed for this 5 restaurant, family-owned chain and the furthest design departure to date. 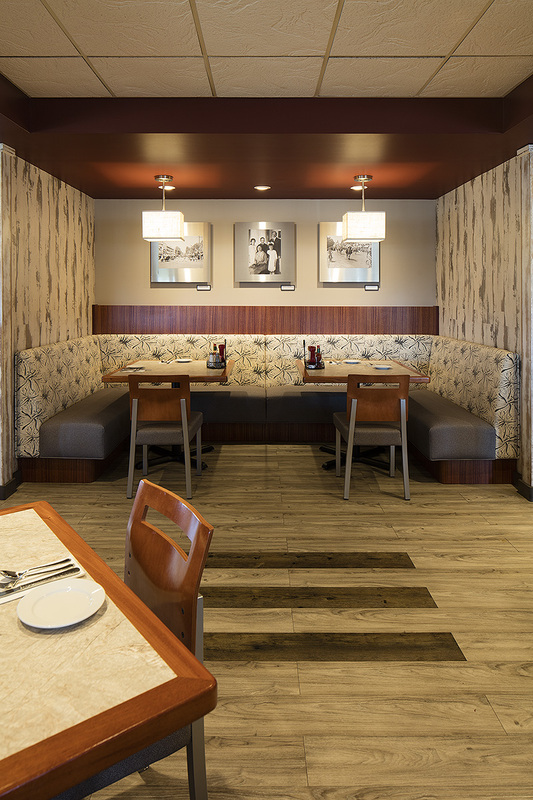 Rich, timeless neutral colors and wood grains were punctuated with just a few accent colors on soffits and walls. 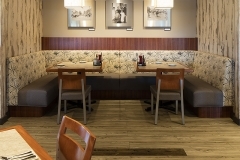 In keeping with the owners’ desire for low-maintenance with a casual but upgraded look, all upholstery but one was specified from a new series of coordinated, patterned commercial vinyls – so easy to keep clean and very durable. 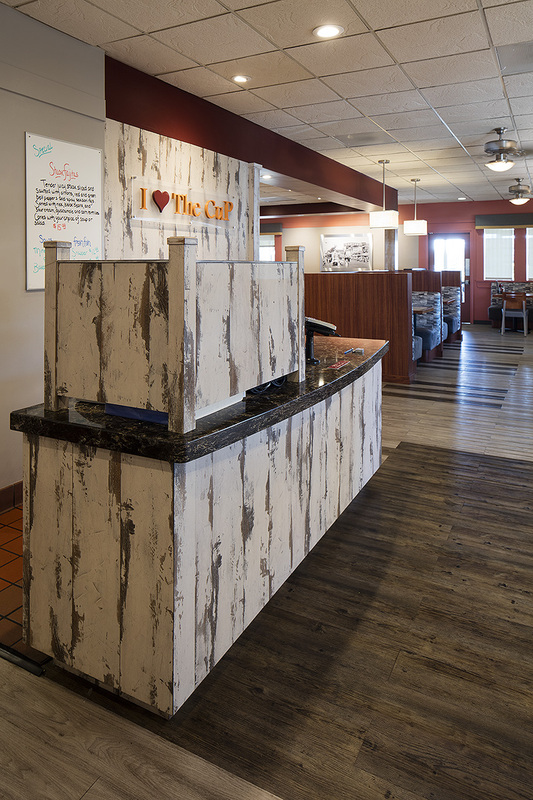 Unique floor patterns were designed using luxury vinyl plank flooring. 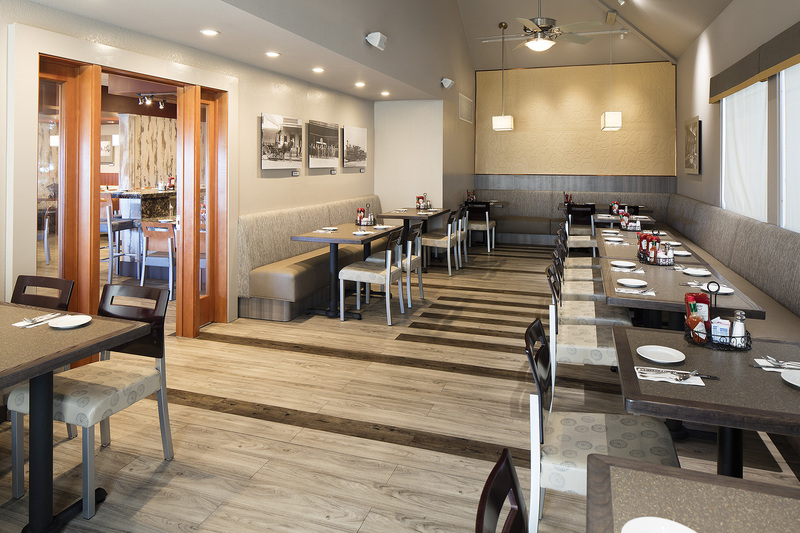 Rustic click-together wood flooring was used vertically to add a casual look to the sophisticated interior. 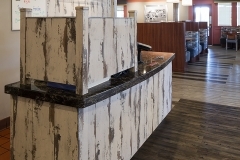 Stunning nature-influenced, patterned Quartz countertops brought an earthy element into the interior on reception desk, bar and wall caps.